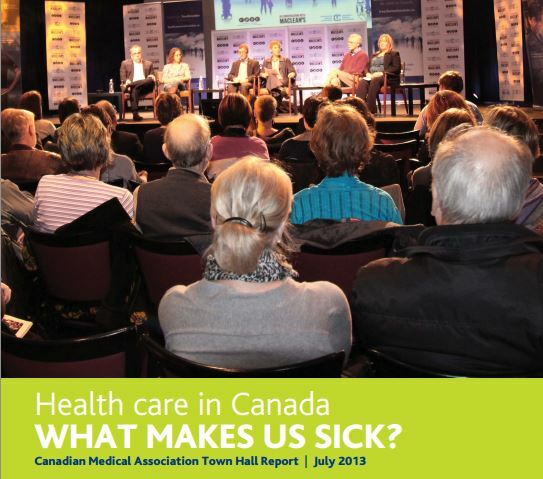 In July 2013, the Canadian Medical Association (CMA) released its Town Hall Report called “Health Care in Canada – What Makes us Sick?”  Over the past year, the CMA has been hosting a series of town hall meetings in various parts of Canada to gather input on Canadians’ views on the social determinants of health. This followed an initial phase of a National Dialogue on Health Care Transformation in which CMA heard that the health care system was not the most important determinant of health and that social and environmental factors were more important. That understanding is certainly not news – it goes back many years – but perhaps was most memorably reflected in an internationally influential federal white paper authored in 1974 by then Minister of National Health and Welfare, Marc Lalonde . This was followed by the Ottawa Charter for Health Promotion  in 1984 that elaborated on the determinants of health (peace, shelter, education, food, income, a stable eco-system, sustainable resources, social justice, equity). Since then, the public health community in particular has been grappling with how to address the determinants of health and entire libraries could be filled with what has been written about this. Thus, it is not the news that the Town Hall Report, and the media response to it, seems to suggest. Perhaps what is news is that the CMA Town Hall report suggests that the Canadian public may now be aware of the importance of the social determinants of health. If that is true, it is definitely a good thing, given public health’s longstanding efforts to inform the public about and to advocate for upstream actions to address the social determinants of health. I wonder, however, about the extent to which the town hall meetings drew from the ‘usual suspects’ – i.e., those who were already in the know about health equity and the social determinants of health. I could be wrong of course, but a recent British Columbia Medical Association (BCMA) survey  found that the public of BC is most concerned with issues of wait times, doctor shortages, the aging population, and hospital overcrowding and not so much about prevention, let alone the determinants of health. The poll also suggests that British Columbians are supportive of moves to make people more responsible for their own health (blaming the victim? ), a move counter to an understanding about how living conditions and social disadvantage (i.e., the social determinants of health) can cause inequities in health status. Either the BC public is out of step with the rest of the country, or the results of CMA’s consultations may not be as representative of Canadians’ views as the report suggests. I think we still have our work cut out for us! The Town Hall Report also states that “the medical profession has the authority and voice to take leadership on these issues” [1, p. 1]. My initial response to this was perhaps a bit of ‘sour grapes’. How could this group who has historically had such a limited focus on the social determinants now claim a leadership role, particularly when public health has been providing strong leadership for years? Medical standards of practice and the CMA code of ethics  do not even reference the determinants of health let alone provide guidance to physicians about how they might enact their “ethical duty to their patients to work toward a society in which everyone has the opportunity to live a healthy life” [1, p. 3]. The Canadian Nurses Association (CNA), by contrast, explicitly includes a focus on the social determinants of health in their Code of Ethics  and the Community Health Nurses of Canada are also explicit about the role of nurses in addressing the determinants of health in 6 of their 8 competency domains . The CNA website has 10 full pages of links to publications, policy statements, and advocacy papers dealing with the social determinants of health and providing guidance to nurses. Our own BC Health Officers Council has been a strong advocate for addressing the determinants of health as reflected in several influential documents, including a Discussion Paper on Health Inequities in British Columbia . Other public health disciplines have made similar contributions. However, we need to take a step back. I fundamentally agree with and support most of the recommendations in the CMA Report (although their recommendation for a comprehensive drug plan is not really an upstream action, nor does it address the determinants of health). Maybe CMA is a more recent advocate to this endeavor. But, they are taking an important position that is not being addressed by many provincial medical associations, so CMA should be applauded for this. We can never have too many influential people advocating for and engaging in upstream actions on the determinants of health. And our physician colleagues do have authority and voice. We need them in the fold. Welcome CMA, there is a place for you at the table. We are here to support you, to applaud your efforts, and to share our own learning along the way. PHABC has supported the efforts of a number of groups concerned with the current approach to the misuse of substances. PHABC has called for the adoption of a public health approach to the regulation of psychoactive substances. Building on the report by the Health Officers Council of BC (HOC), PHABC has taken a position that emphasizes not only the need for a change in the regulatory approach to psychoactive substances but that emphasizes the importance of early childhood development and health education as critical components of a comprehensive public health strategy to address substance misuse. Based on a request from the Sensible BC campaign that is concerned with the decriminalization of marijuana, PHABC’s Policy Advocacy Research Committee (PARC) is reviewing the PHABC position. Read the current PHABC position statement on the regulation of psychoactive substances. Why is prevention important to me? In elementary school, I had a friend whose Mom died of lung cancer attributed to smoking. I remember going to the funeral at the church beside the school. I remember how shocked I was at seeing her Mom in the open casket. I remember later my friend standing up and speaking to the class about smoking and cancer. I remember thinking how sad I was for my friend – and thinking that this didn’t have to happen. 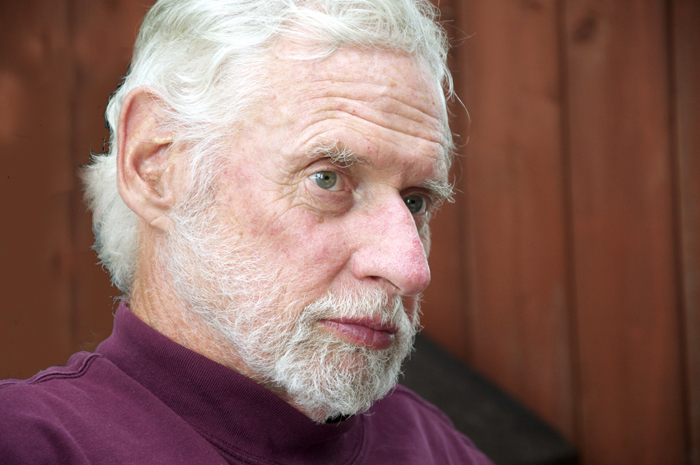 Ted Bruce is the past-president of the Public Health Association of BC. I am motivated to advocate for better public health policy – it is one of the best ways to promote and protect the health of all Canadians. Over my long career in public health, I have seen a number of public health policies – such as smoking restrictions and required use of seat belts – have a major impact on the health and safety of Canadians. It is time for politicians to turn their attention to addressing the growing inequities in health through more effective public health policies. All decisions whether at the individual or collective level involve some allocation of resources and their consequent outcomes. Nowhere as in the area of health is such allocation critical. Allocation of resources in the healthcare settings often relate to the urgent issues of suffering and relief, if not matters of death and life. That by itself has drawn massive attention to the healthcare system. A key area of resource allocation, as far as health is concerned, is that of public (i.e. collective) versus private (i.e. individual) health. Broadly speaking, public health is concerned with the health of populations in their communities with a focus on the prevention of ill health. Private health, on the other hand, is concerned with the restoration of the health of individuals through the current medical care system. If we believe in the old wisdom that prevention is more effective and less costly than cure, then one wonders why we allocate the lion’s share of our resources to curing patients through the medical care system and not on preventing people from becoming patients in the first place! A rethinking of our approach to health and reorienting of resources towards public health is even more called for at a time of fiscal constrain and rising healthcare costs. If we are serious about public health and cost control, it is prime time to show our commitment to both in our policy directions and budgetary allocations. Prevention Works. The case of HIV/AIDS shows that when prevention is central to a health care problem, the benefits are huge. The battle against HIV/AIDS is a lesson on why we need to increase prevention funding. Dr. Paul Martiquet highlights recent successes on the prevention of HIV/ AIDS and the success of a preventive approach. British Columbia has been at the forefront of much of the progress we have made on the HIV/AIDS front since the emergence of the disease in the 1980s. In 2009 pilot projects in Vancouver and Prince George were introduced to explore a new strategy against HIV/AIDS. Called STOP HIV/AIDS (Seek and Treat for Optimal Prevention of HIV/AIDS), the projects brought together innovative new methods for testing, diagnosing and treating the disease. The natural next step for this proven strategy is expansion of the program across the province. 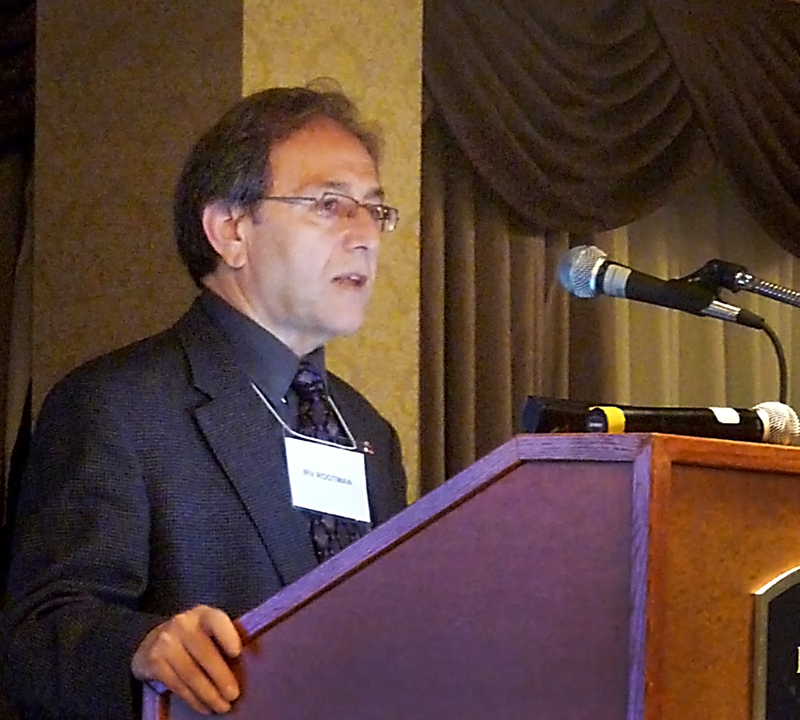 A central idea for the TasP (Treatment as Prevention) pilot was devised by the BC Centre for Excellence in HIV/AIDS. Underlying the concept of TasP is that drug treatment lowers the amount of virus in the body, thus improving the health of those on treatment, and therefore lowering the amount of virus in the community and preventing new HIV infections over the long term. TasP has been endorsed internationally by UNAIDS and adopted by other jurisdictions including the United States and China. Reduce the number of new HIV infections in British Columbia using health promotion, HIV prevention, and enhanced testing and care. Improve the quality, effectiveness and reach of HIV prevention services. Improve early diagnosis of those living with HIV. Improve the quality and reach of HIV support services for those living with and vulnerable to HIV. Reduce the burden of advanced HIV infection on the health system. Success will mean fewer people will contract HIV and few of those living with HIV will see their infection progress. An AIDS-free generation is not only possible, but entirely plausible. It is not necessary to summarize all the literature on the contribution of excessive salt in our diets to disease and ultimately health care use. Most of us know about this problem thanks to education and communications from public health. But more needs to be done on a number of fronts including an investment in more health promotion through public health programs. PHABC has endorsed a call for the implementation of a comprehensive plan for sodium reduction that was developed by a government appointed panel of experts. Sadly, the federal government seems to be reluctant to follow this advice and it has been up to a private member’s bill and public health advocates to push for implementation. The sodium reduction issue is a terrific demonstration of the importance of investments in prevention but also paints a picture of the various elements of a prevention effort including health education, regulation, pricing and setting targets. We need look no further than tobacco reduction as the model for comprehensive prevention efforts. The number of lives saved, disabilities reduced and health care costs saved is nothing short of astonishing – thanks to a multi-year investment in a prevention agenda. When decision-makers balk at funding new investments in prevention and ask what value there is in increased funding to public health prevention strategies, they need look no further than the battle to reduce sodium in our diets. It is time to seriously invest in improving health and not just treating the disease. Bill C-460, Sodium Reduction Strategy for Canada Act | Introduced in the House of Commons in November 2012. 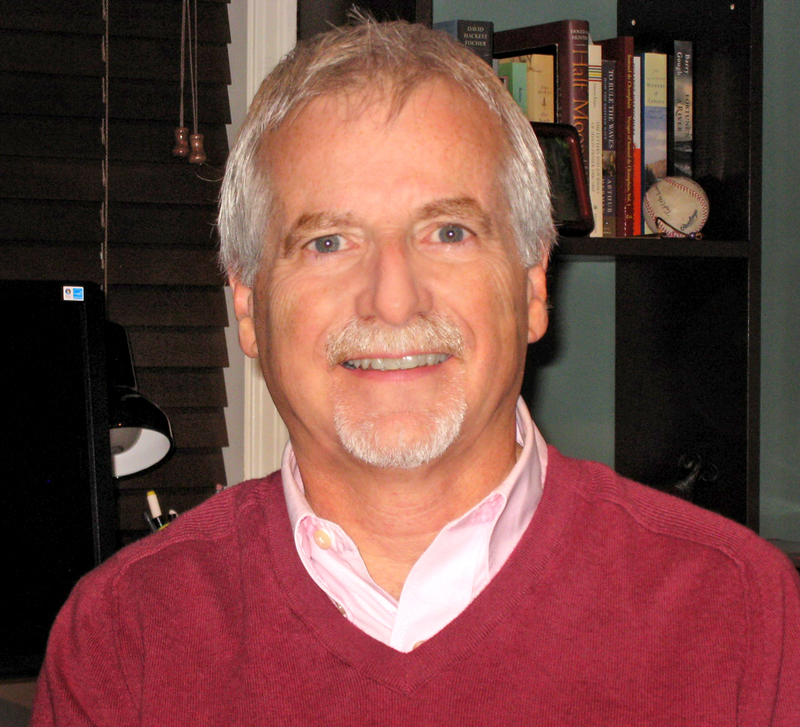 – Ted Bruce is the Past President of the Public Health Association of BC. The report findings also define and highlight the roles of cultural competency and cultural safety in reducing health inequities, disparities in the social determinants of health and access to healthcare services for Canada’s Aboriginal populations. The report also describes practices that can contribute to addressing these barriers, including Aboriginal patient navigators and cultural interpreters who provide support to patients and providers. Read the full report “Empathy, dignity, and respect: Creating cultural safety for Aboriginal people in urban health” and consider sharing this insightful and important publication widely. Read the Empathy, Dignity and Respect Fact Sheet and learn more about Eight Innovative Practices in Urban Aboriginal Health. Read the Council’s December 2012 Report Press Release.